Primary 6, have been learning about cells and microscopy. We have been looking at animal and plant cells and the different functions each part performs. Primary 7 have had an opportunity to be leaders in their own learning by showcasing different ways we can use a microscope. They have been able to link their knowledge of DNA to different cells too. 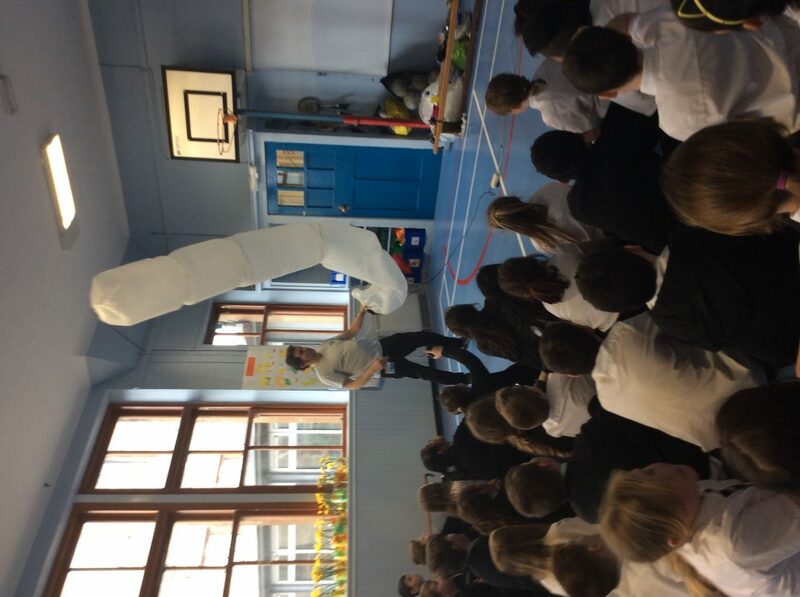 Primary 7 had the opportunity to expand their knowledge about DNA yesterday. They were kindly visited by Mr Nicklin who was able to share his expertise with the children – all of the boys and girls had the chance to make their own DNA bracelets for different animals or species. 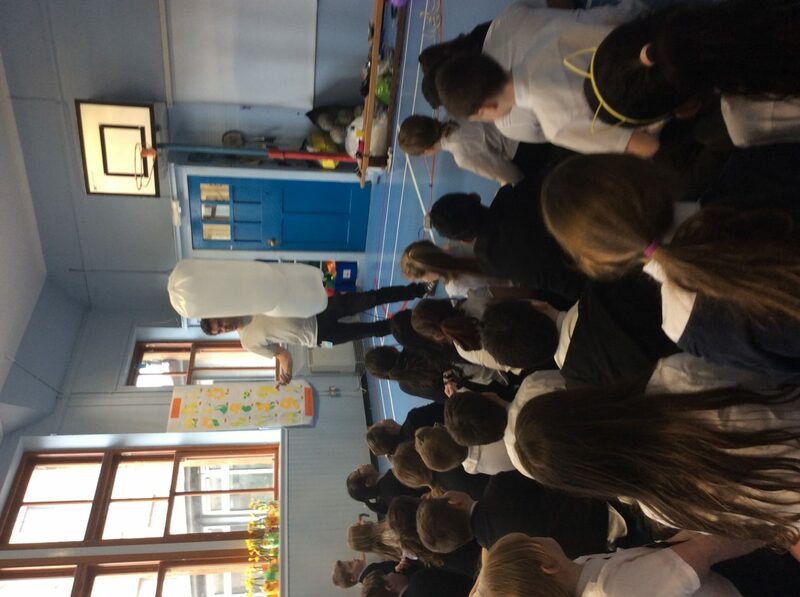 The end result was fantastic and another huge thank you to Mr Nicklin for visiting primary 7 yesterday. 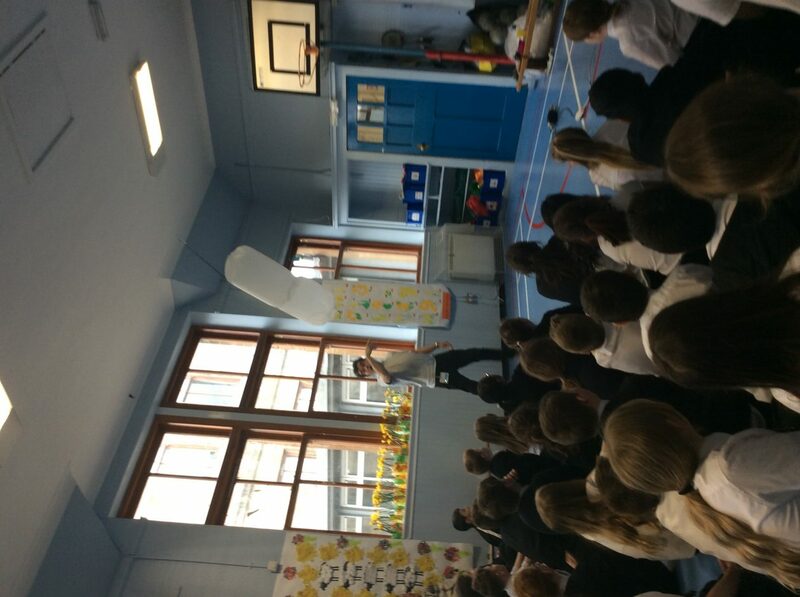 We had an excellent afternoon watching the “Think Science” workshop last week. We loved learning about gravity, forces, mass in a variety of fun ways and watching all the exciting experiments carried out! The girls in Primary 7 recieved their last lesson taught by Williamwood Design Department. They created designs for a keying and finished our glass designs. 4 lucky pupils will be chosen to go to Williamwood and use the 3d printer to make their key rings become a reality at the end of March. 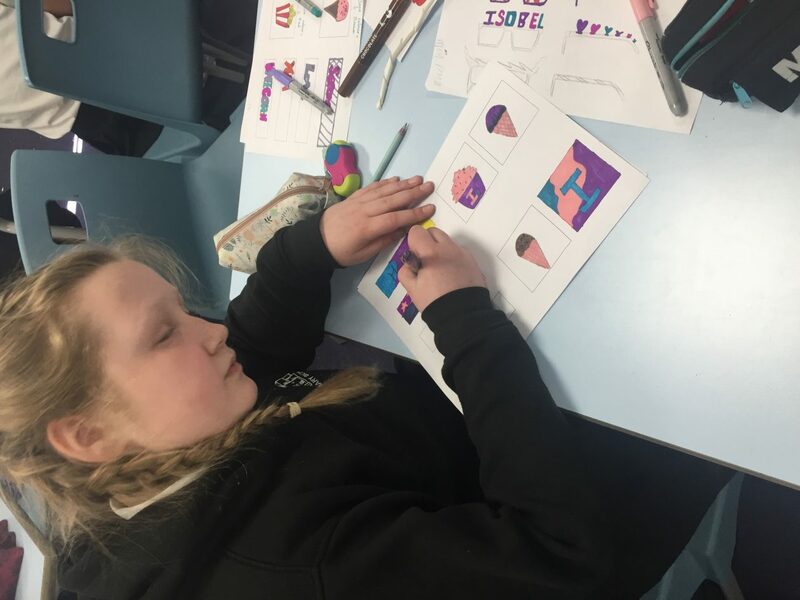 Primary 6 have been learning about area of compound shapes including right angled triangles, squares and rectangles. They had to design a stain glass window and find the area of each shape. Their work looks super with the daylight coming in. Well done P6! Today in class p7and P6 worked together to build a Lego water damm there were 6 teams and they had to test and see if the water would flood through the wall. Today we were lucky enough to be visited by Show Racism the Red Card. We were learning about refugees and immigrants and telling the differences between both. The children heard personal stories about one of the visitors life in Zimbabwe and the struggles that he faced. We spoke about racism and the impact it can have on individuals lives. Primary 6/7, loved learning new facts and sharing their prior knowledge. Today pupils participated in the Onesie Walk in our local community. They all looked wonderful and marched off in style into the frosty afternoon. Well done to all who took part!